Playing the violin can be a fun and rewarding hobby or even lead to a career as a concert violinist. A good understanding of music theory and the ability to read notes is essential to your complete development as a concert violinist, but training your ear to hear and identify notes on the violin, and to be able to repeat what you hear, will add a layer to your skills that will take your playing ability to another level and allow you to stand out from the crowd. 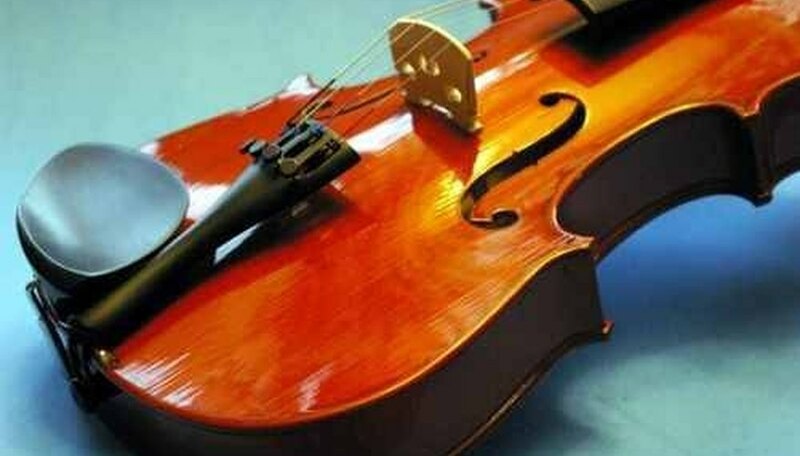 Learn the notes on your violin. Start with the open strings. There are four of them, tuned a fifth apart. The open strings, from thickest to thinnest, are G, D, A and E. Play them several times to familiarize yourself with the tones, then play each of the strings individually, placing your fingers on the fingerboard in half-step intervals. This will help you become familiar with the sound of the notes on your instrument in its first position. Play musical scales. Scales are written in musical keys. Songwriters compose songs in specific keys. Pick a piece of music you enjoy, determine the key it's written in, then play along with the music, making up your own violin lines while staying within the key of the song. This will help with your improvisational skills as well as help train your ear. Consider using the Suzuki Method of violin training (see Resources). The Suzuki Method works on the premise that learning any language is a matter of being around it all the time. Suzuki teaches musical language in the same way we're taught to speak. The beginning stages of the Suzuki instructional series emphasize playing by ear rather than by reading music. The Suzuki Violin Method is the most used method in the world for violin instruction. Tune your violin with a pitch pipe as opposed to an electronic tuner. Matching the pitch of your open strings to the notes on a pitch pipe is a good way to train your ear to hear when tones match or are in tune. Practice consistently. This is probably the most important step. Consistent practice is the only way to develop your ear to hear the subtle tone variations between notes. In time you'll be able to hear music and "speak" it as fluently as you do your spoken language.